Once again, ’tis the season for rampant consumerism! Yes, it’s time to brighten your loved one’s faces by giving them awesome stuff. 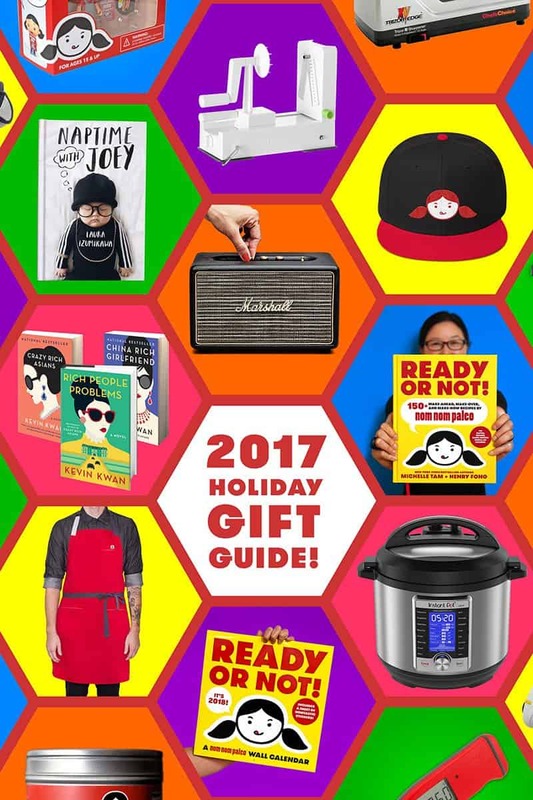 And with my annual holiday gift guide, you’ll find gifts that fit both your budget AND your buddies’ tastes—that is, assuming they love exactly the same things that I do. Plus, with the space-age techno-power of online shopping, you don’t even have to leave the comfort of your couch to do so! Ready to lighten your wallet? 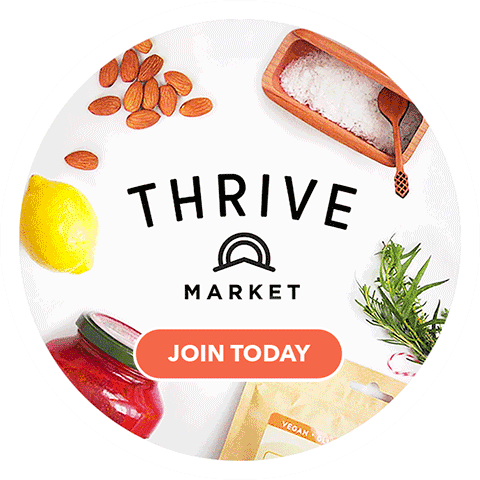 This year, I’m going to start by hawking my own awesome products, and then I’ll tell you about other crazy-fun holiday gift ideas! 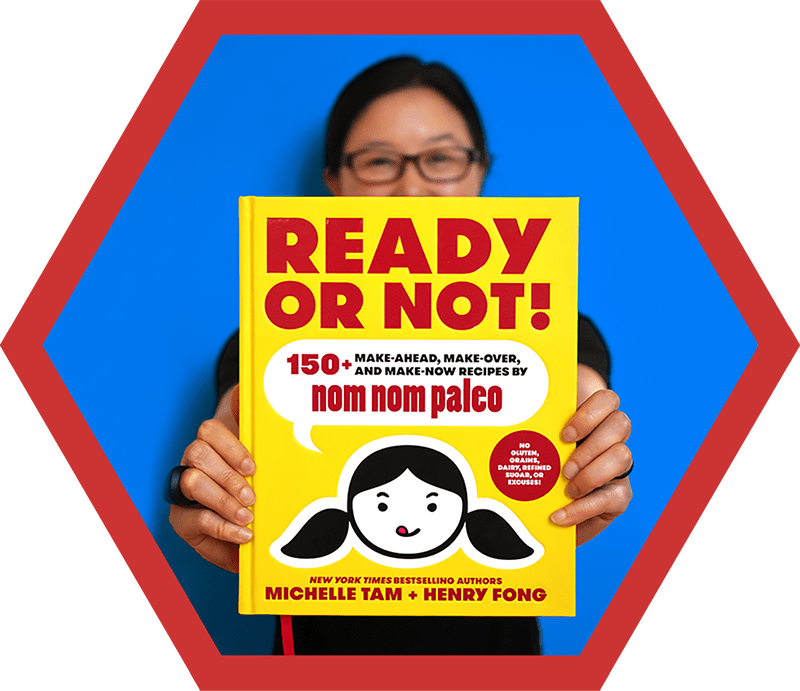 Yes, I’m totally biased, but I truly believe that the bestest holiday present you can give yourself and your loved ones is our newest cookbook, Ready or Not! Our book is all about making healthy Paleo home cooking a breeze, no matter if there’s time to prepare or just minutes to spare. Whether you’re a fastidious planner or a last-minute improviser, you’ll find plenty of deliciously nourishing options, from make-ahead feasts and treats to lightning-fast leftover makeovers and make-now meals. 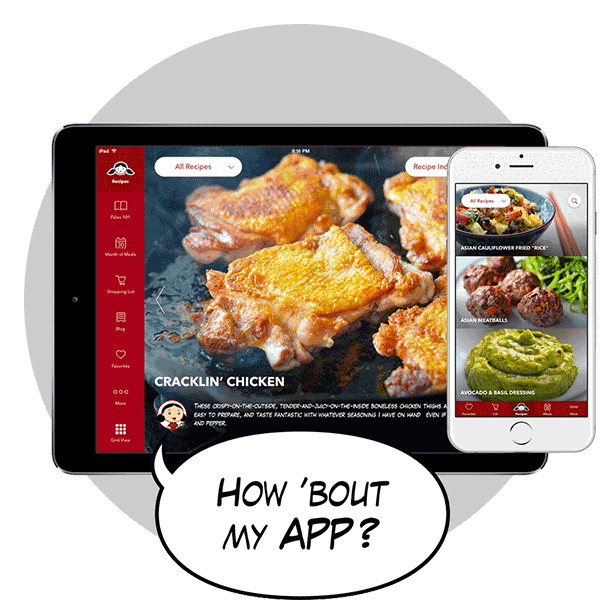 Presented in our trademark comic book style, Ready or Not!’s step-by-step recipes, photos, and meal plans make cooking a habit you’ll never want to break. Henry and I poured our hearts and souls into this book, testing each and every recipe on our family, shooting every one of the 2,000+ photographs in our home kitchen, meticulously drawing every illustration, and designing and laying out every page. And our loyal readers have responded by swooping up the entire first printing! 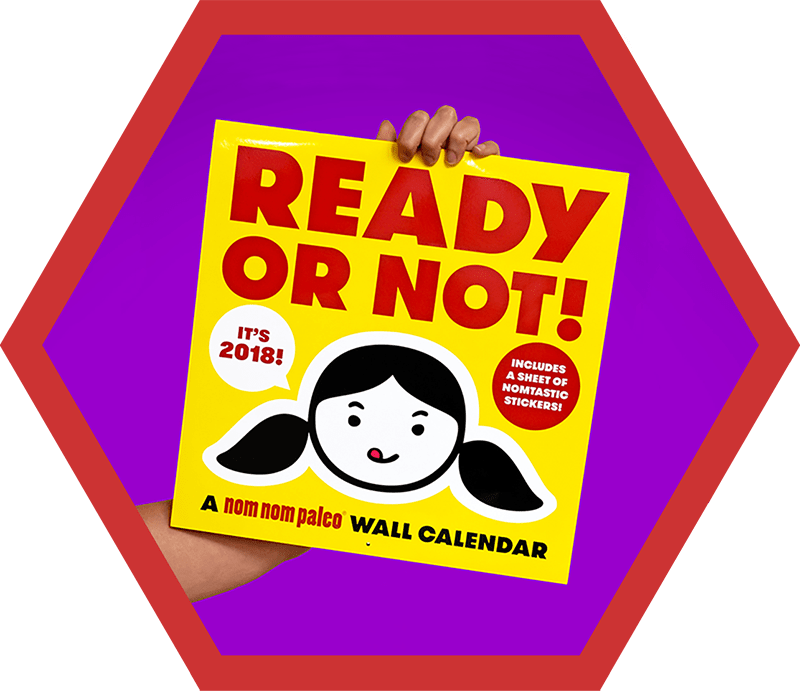 Since it hit bookstores in August, Ready or Not! has become a New York Times bestseller, and hit #1 on both the Wall Street Journal and Publisher’s Weekly bestseller lists for Hardcover Nonfiction. Our book made it to the Semifinals of Goodreads’ Choice Awards in the Food & Cookbooks category. And Amazon recently named it one of the 15 best books of the year in Cooking & Wine! Ready or Not! is available wherever books are sold (in the U.S. and all over the world! )—but this holiday season, we’ve partnered with our local independent bookstore, Books Inc., to offer signed and personalized copies of our cookbook! If you’d like for me to inscribe a personal note to you or someone special to you, just click this link to order Ready or Not! from Books Inc. At checkout, make sure you fill out the Order Comments section at the bottom to let me know who you’d like me to make the book out to. 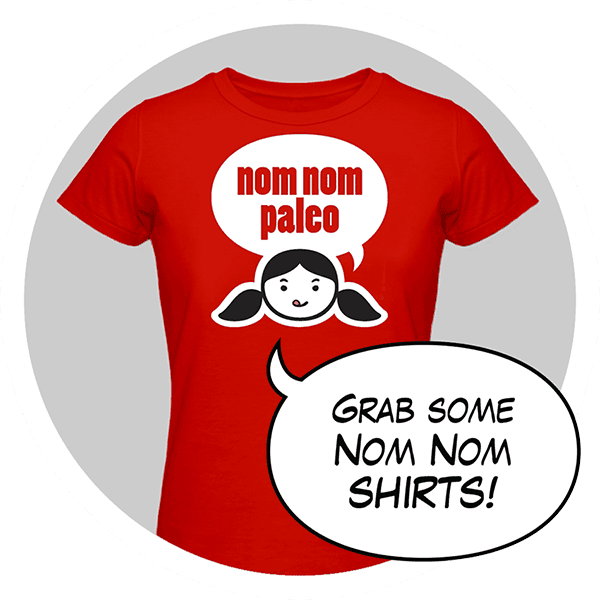 I’ll even make sure to throw in some free exclusive Nom Nom Paleo swag, too! 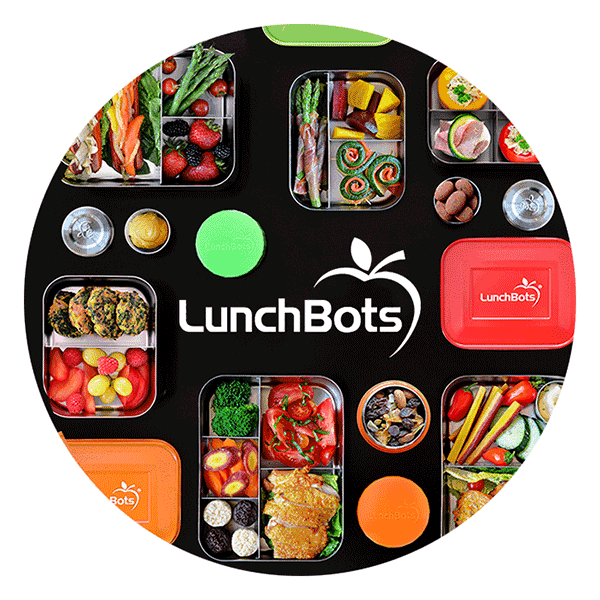 Just place your order by December 14th at 11:59 am Pacific to guarantee delivery by Christmas! Buy a signed and personalized copy from Books Inc. here! If you like our cookbooks, you’ll definitely dig our 2018 wall calendar. With healthy recipes presented in a deliciously fun style, this 2018 wall calendar will inspire you to cook all year round. This eye-catching companion to our new Ready or Not! 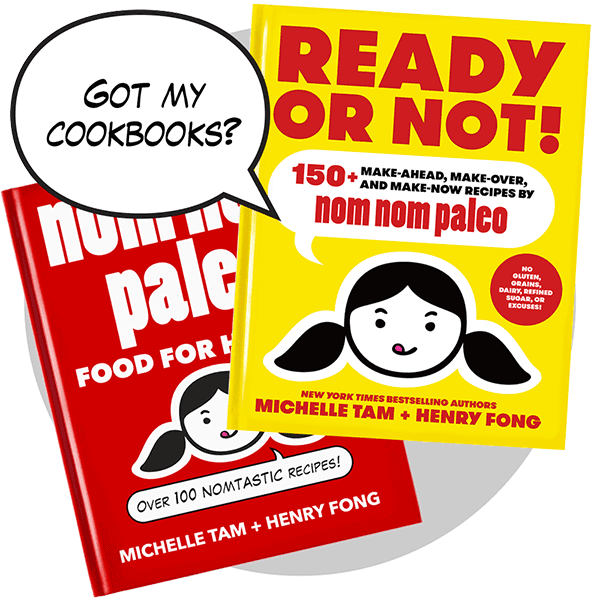 cookbook features cheeky cartoons and a different Paleo recipe each month, ranging from hearty suppers to easy snacks and sides. 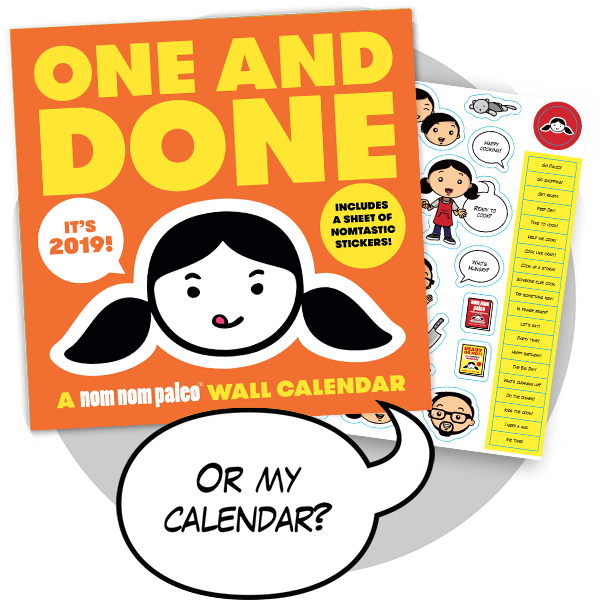 Best of all, this colorful calendar also includes dozens of stickers (featuring cartoon versions of me and my family—including Ollie’s stuffed cat!) to keep you motivated throughout the year. Hang this on your wall, and Ready or Not! will make cooking a habit you’ll never want to break! Buy our calendar from Amazon here! Never tried my Magic Mushroom Powder? It’s one of the most potent flavor boosters in my kitchen arsenal—an umami-packed seasoning salt that made The Oregonian’s Test Kitchen “rethink everything [they]’ve been doing in the kitchen.” Magic Mushroom Powder can be used in place of salt in virtually any dish, adding an immediate flavor punch to everything from scrambled eggs and ground meat to roasted veggies and chicken wings. I always keep Magic Mushroom Powder stocked in my kitchen, and you can, too! Make it yourself using this recipe—and give it away as stocking stuffers to your favorite foodies. Too lazy to D.I.Y.? Magic Mushroom Powder is now available in cute tins at Whole Foods Market stores in the chain’s NorCal Region (which also covers Reno, Nevada) and Northeast Region (including stores in New York, Western Connecticut, and all New Jersey stores except Marlton, Cherry Hill, and Princeton). 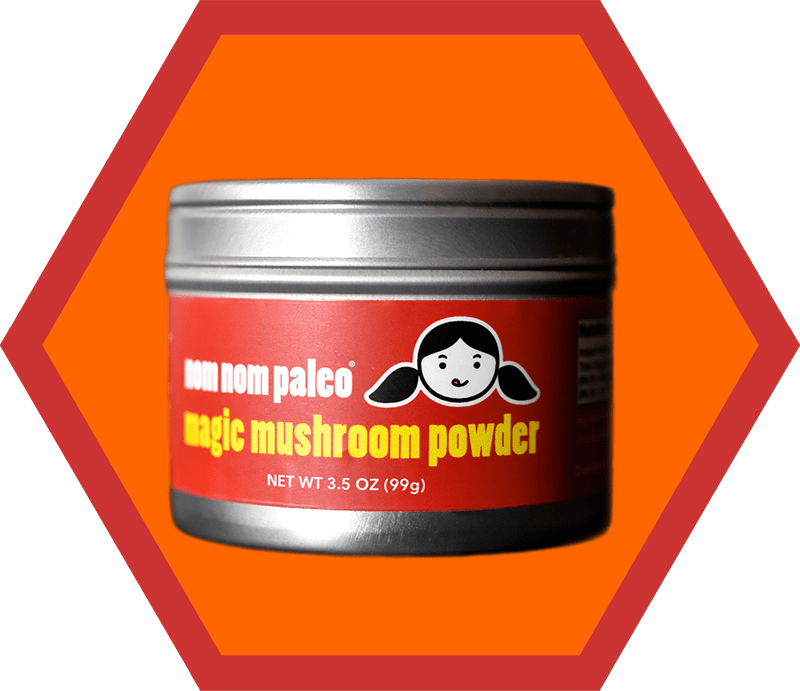 My Magic Mushroom Powder has been selling out super-quickly, though, so call your local store before visiting to make sure they still have some left at the butcher counter! You may have seen the boys rockin’ cool Nom Nom Paleo baseball caps on our Ready or Not! book tour and wondered, how can I get one? Well, at long last, you can FINALLY order ’em here on our website! 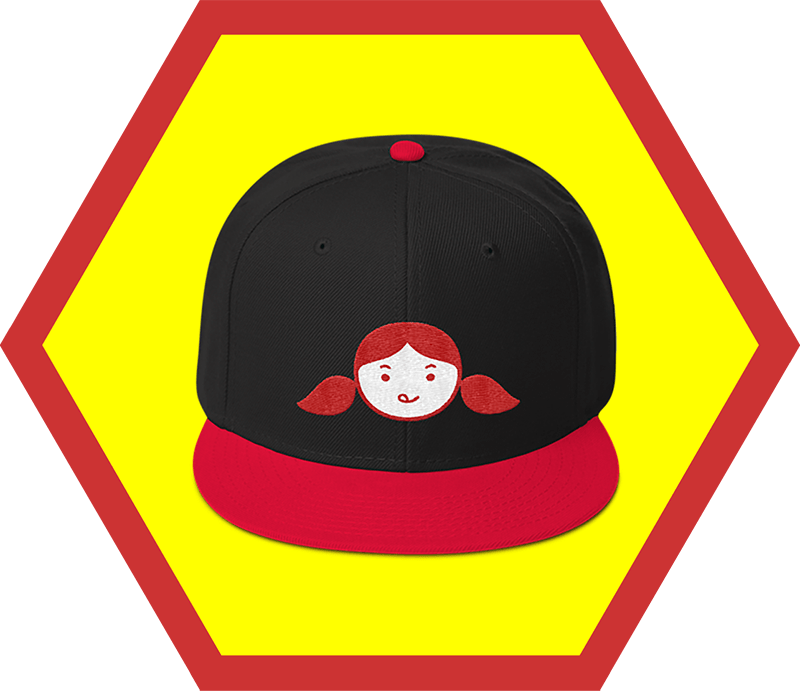 This classic snapback baseball cap, which features a structured wool blend and plastic snapback closure, puts an embroidered image of my FACE on your FOREHEAD. There is simply no better way to show off your inner Nomster, people. You can get it in three different color combos: yellow/black, red/ black, or red/white/black! 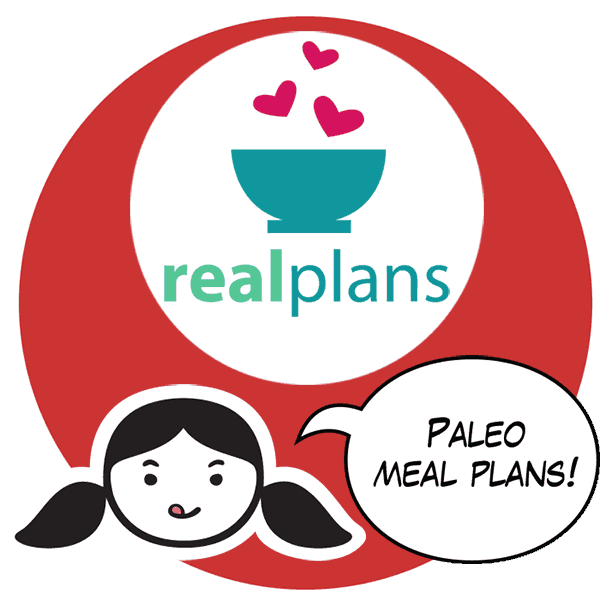 I will do whatever it takes to help you eat real, nourishing, nomtastic foods—even if it means miniaturizing myself so I can cheer you on in the kitchen. Featuring 3 points of articulation, Mini-Michelle stands 3.5 inches tall and comes equipped with four accessories (and a sunny smile, too!). 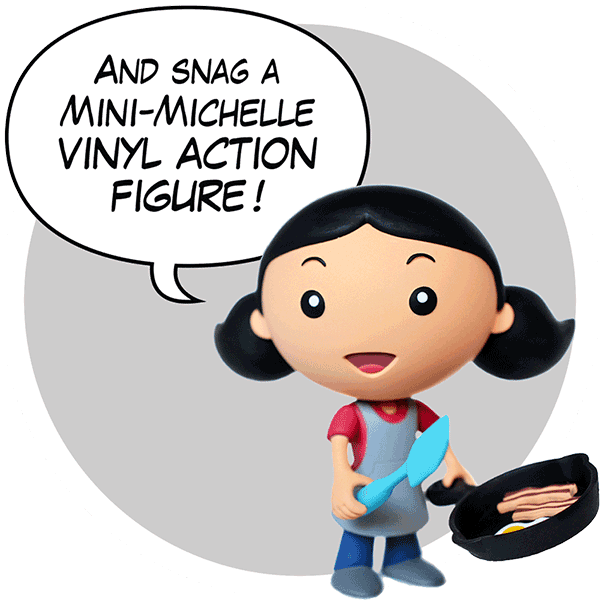 Buy a Mini Michelle here! Okay, enough about Nom Nom Paleo stuff. Let’s talk about gift ideas that DON’T have my face plastered on ’em! 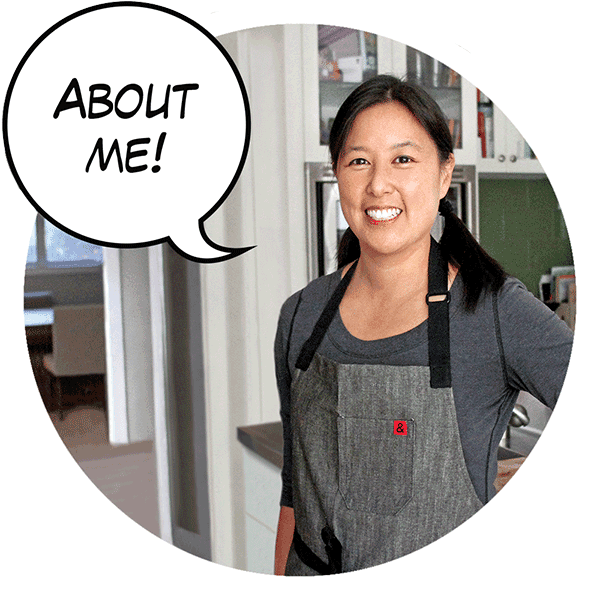 I’ve been such an ardent fan and vocal cheerleader for Instant Pot that many people assume I’m some sort of paid spokesperson for the brand. But guess what? I’m not. I just love using Instant Pots to make delicious, Paleo-friendly recipes with no fuss or muss—and I want everyone else to discover the magic of this appliance, too. To be honest, even though Instant Pots are multi-use cookers (meaning they can handle everything from slow cooking to rice making), the electric pressure cooker function is my favorite, and the one I primarily use. But what an electric pressure cooker it is! Seriously: The Instant Pot will change your life and streamline the process of getting tasty hot food in your craw. Instant Pot IP-DUO Plus: New for 2017, this 9-in-1 6-quart multi-use cooker gives you a lot of bang for the buck. I used to recommend the IP-DUO 7-in-1 cooker as the best one of the lot, but this updated version is even better. 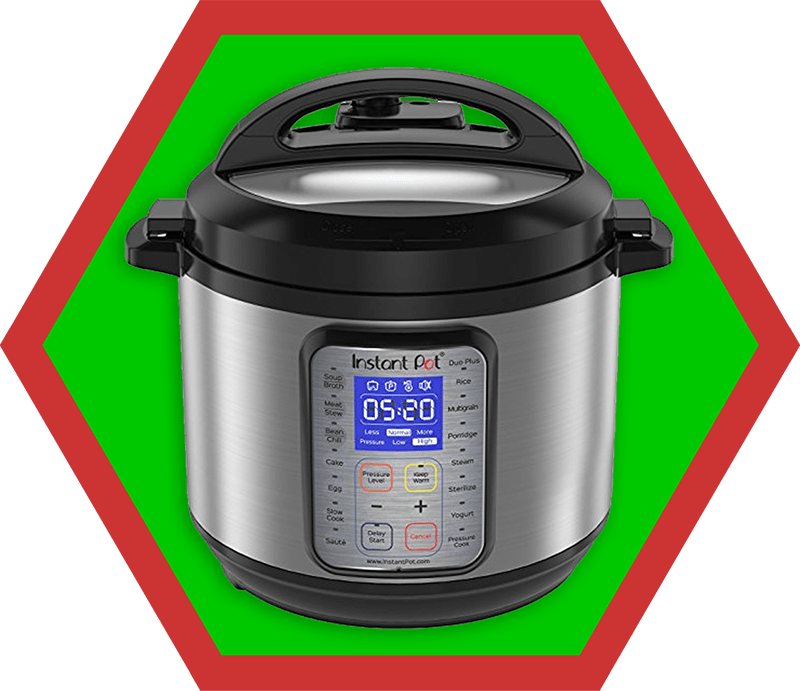 Users provided tons of great feedback about how Instant Pot could enhance the older version, like adding a max-fill line in the insert, changing the button labeled “Manual” to “Pressure Cook,” and cramming a bunch of new features into the gadget. Instant Pot clearly listened, and incorporated all of these improvements into the IP-DUO Plus. Get one from Amazon here! 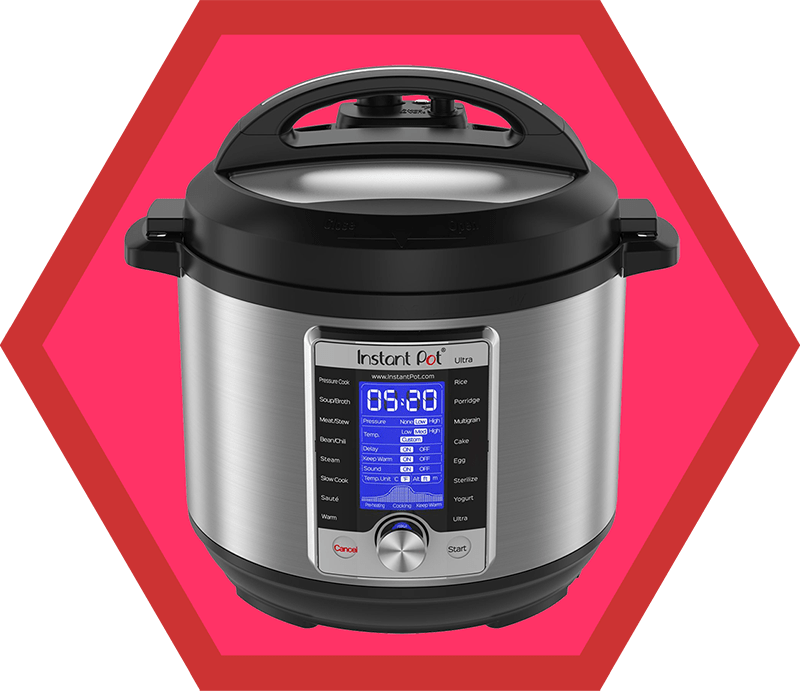 Instant Pot Ultra: This one’s my favorite—it wins by a nose over the IP-DUO Plus. Why? Because it’s more sleek looking, has a central dial with turn-and-press functionality, a cooking progress indicator, and a steam release reset button (to appease those of you who are skittish about the escaping steam when you manually release pressure). The dial may be a bit confusing for those who prefer buttons, but it allows for greater customization and precision. Get one from Amazon here! I’ll be sure to let you know whenever these babies are on sale, and I always update my Instant Pot Deals page with the latest bargains. Oh, and don’t forget to check out my ever-growing list of Instant Pot recipes! Eagle-eyed Nomsters know that whenever I’m in the kitchen, I’m in a Hedley & Bennett apron. I’ve loved these aprons for YEARS—ever since my chef sister bought me one for my birthday in 2013. My collection of Hedley & Bennett aprons has steadily grown over the past four years—I’m now up to eight—and I have no plans to stop. Buy one, and you’ll see why: Each Hedley & Bennett apron is individually handcrafted and built to last, with top grade materials and meticulous fabrication. And best of all, they’re gorgeous. 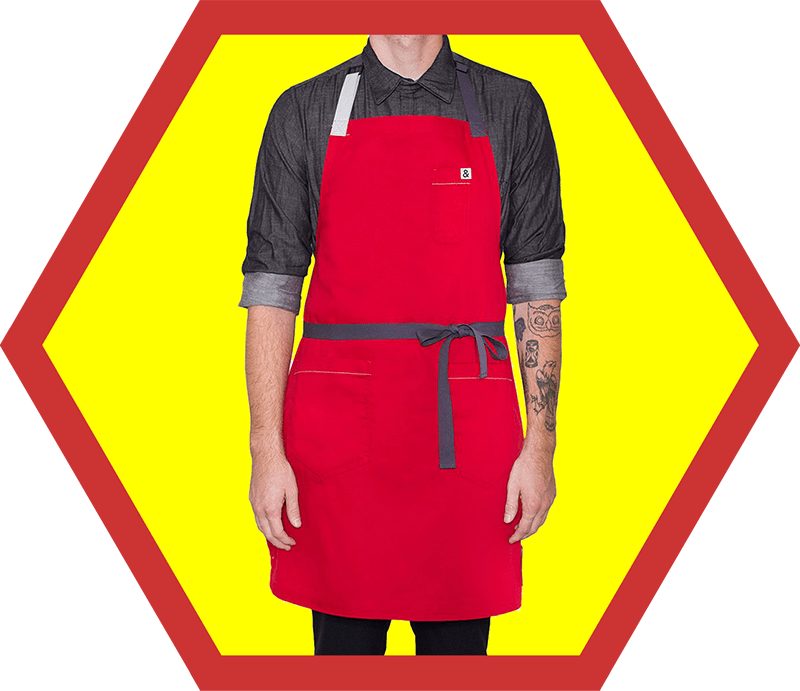 My fave new design is the (PRODUCT)RED apron. Not only is it in my favorite color, but 25% of the retail price from this product purchase will support (RED)’s efforts to fight AIDS through the Global Fund. You can buy one from Amazon here! When my knives are sharp, cooking is faster and safer. I treated myself to this fancy home knife sharpener after I got tired of dropping my knives off at different knife sharpeners every few months to keep them in tip-top shape. It’s the number one rated knife sharpener per the folks at Cook’s Illustrated and I couldn’t be happier with my purchase. All my knives (and my friends’) are quickly sharpened in just a few minutes and we’re back to slicing and dicing in no time at all! Get one from Amazon here! You know all those zany vegetable noodles you’ve seen on Pinterest? You can easily make them at home with a spiralizer. There are tons of options on the market, and I’ve owned four different brands myself. Last year, I recommended two different models, but now one has come out on top: The Inspiralizer. The Inspiralizer is an awesome tool created by Ali Maffucci, the spiralizing queen behind Inspiralized. If she’s gonna invent a spiralizer, you know it’s gotta be one of the best. I love that the blades are attached to the gadget, and you just twist the dial to change it. 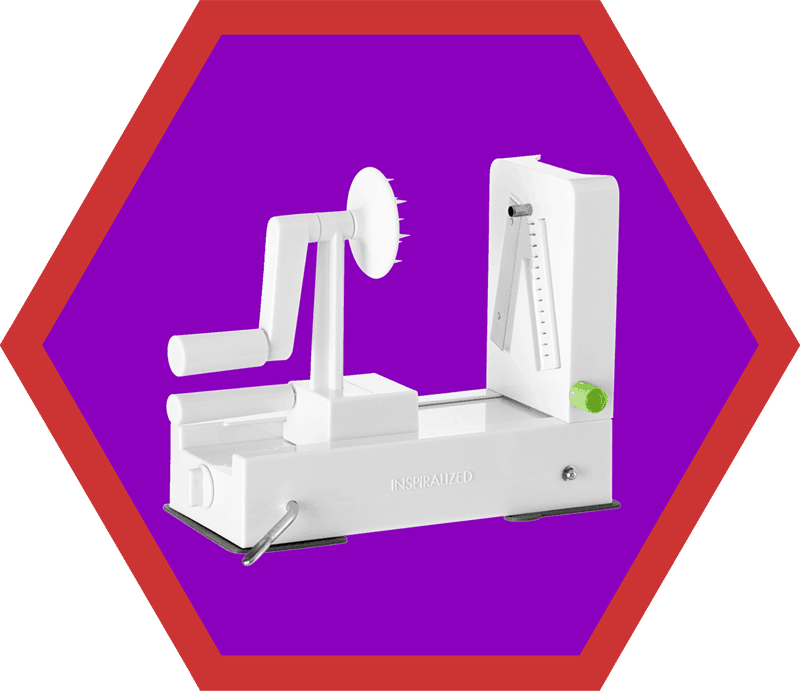 Plus, you can spiralize thinner vegetables because the central coring blade that keeps them in place has a narrower diameter than other spiralizers. The one thing that kept me from recommending it wholeheartedly was that it wasn’t dishwasher safe, but I discovered that I can plop it on the top rack! Haven’t you been dying to make my Crispy Swoodles with Bacon? Grab one from Amazon here! With all the travel I did this year for our Ready or Not! Book tour, one of the things I prioritized above all else was good sleep. Sleeping on the road can be tough, especially with all the time zone changes and resulting jetlag. Two things that I always travel with to ensure good sleep are my trusty eye mask and a portable white noise maker. I realized I needed a white noise maker when I stayed in big cities like NYC or Chicago and the constant traffic and honking would keep me up at night. 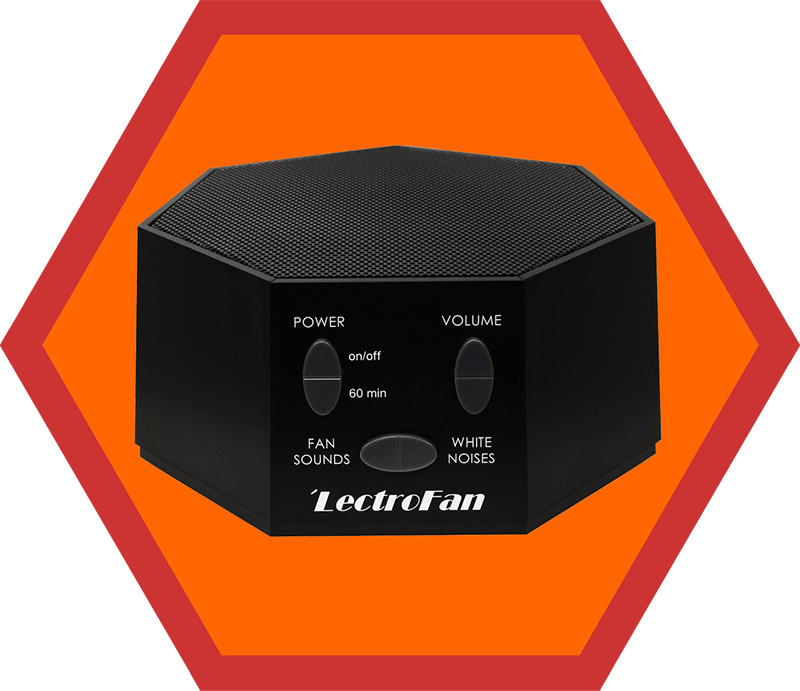 After doing lots of research, I opted to buy the Lectrofan and it helped me get my zzz’s on the road. (Yes, it’s very compact and takes up very little space in my carry-on.) I liked it so much that I now keep it on my nightstand at home! 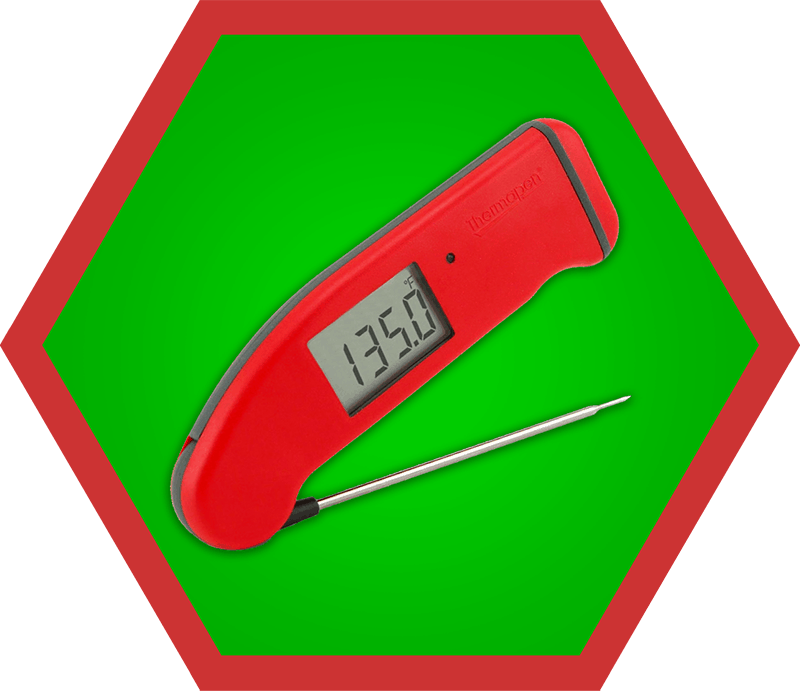 What’s so great about the Thermapen Mk4 instant-read thermometer? Well, it’s lightning-fast, incredibly accurate, has an intelligent backlight and auto-rotating display, a motion-sensing sleep-and-wake mode, and it’s super-cool looking. Plus, if you use it when cooking, you’ll never mess up a pricey piece of grass-fed meat or pastured poultry ever again. 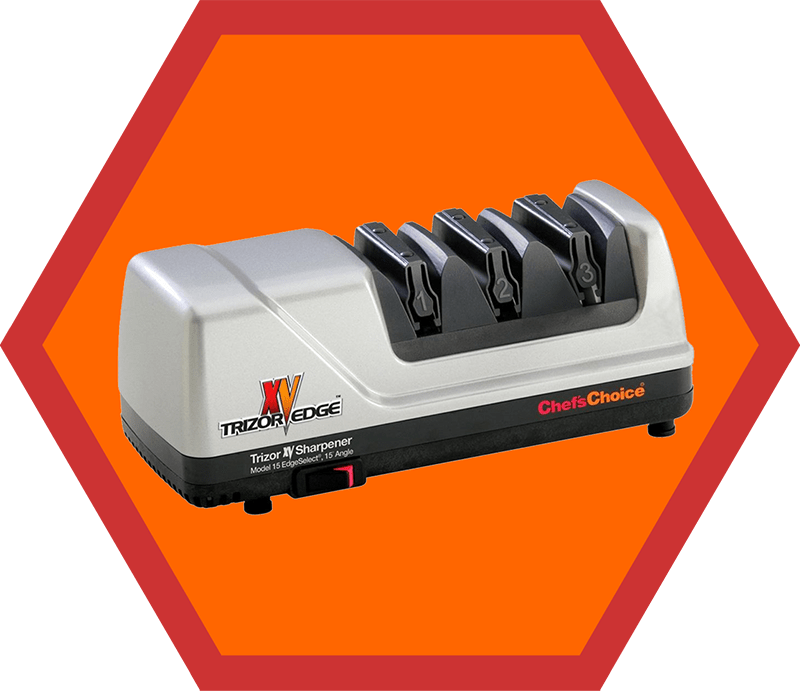 Get one from ThermoWorks here! The one caveat? It costs close to $100. Luckily, the Thermapen’s mom and dad has squeezed out a more affordable younger sibling, the ThermoPop. This lollipop-lookalike is rated #1 by Cook’s Illustrated and Serious Eats, so you don’t need to worry your pretty little head about whether it works as well as its older sibling. Yeah, it’s not quite as fast as the Thermapen (2-3 seconds for Thermapen, and 3-4 seconds for ThermoPop), but it’s only $29. 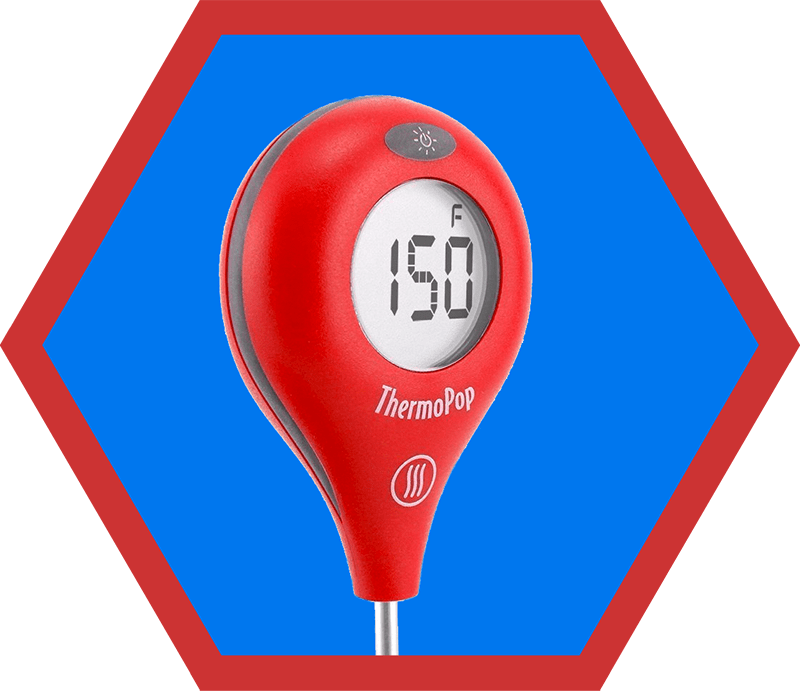 And as I’ve said before, if you’re gonna cook meat or fish properly, you gotta invest in a great thermometer, so get one from ThermoWorks here! 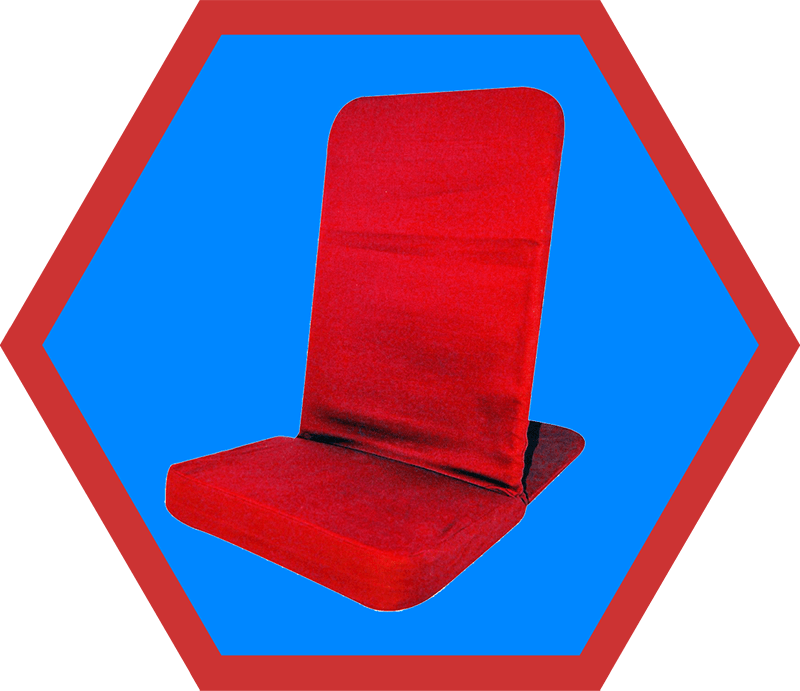 I first encountered Back Jack chairs at the Paleo seminar I did at 1440 Multiversity, where some audience members—fresh from a morning yoga class, I assume—plopped down on the floor into these sturdy, portable meditation chairs. They’re great for everything from zen practice to playing video games with your kids. Made in the U.S.A., Back Jacks come in an array of bright colors—I bought red ones, because I’m me—and are heavily padded for comfort. 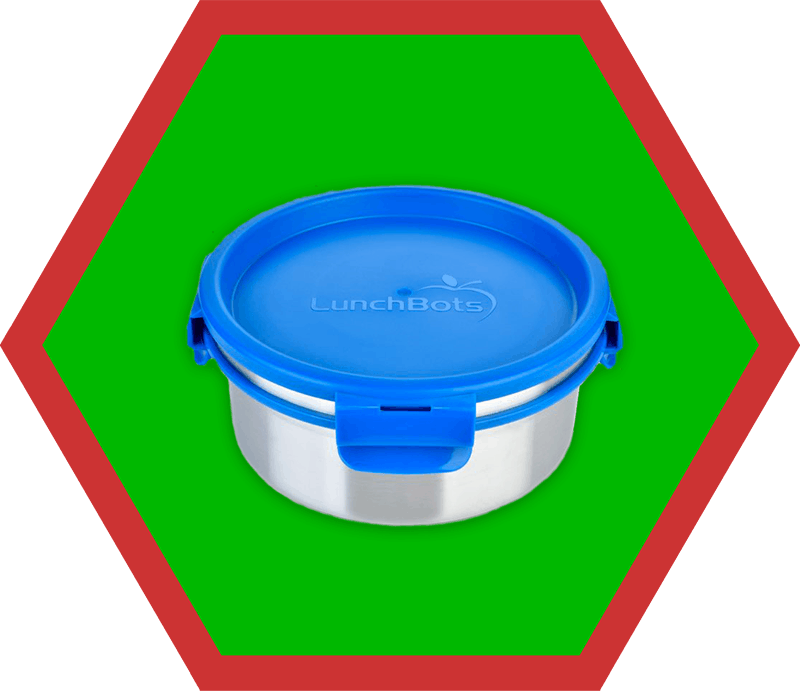 I love these all-stainless steel interior salad containers by my pals at LunchBots! They’re totally leak-proof, durable, and dishwasher safe. However, I don’t just store salad in them—I store all my leftovers in them ‘cause I’m the Leftover Makeover Queen. One thing to note: when placing hot food in the container, allow the food to cool to room temperature before sealing the lid. Failing to do so may cause a strong vacuum to form, making the container difficult to open. If a vacuum does form, insert a butter knife between the lip of the container and the lid to allow air to enter. Easy peasy! 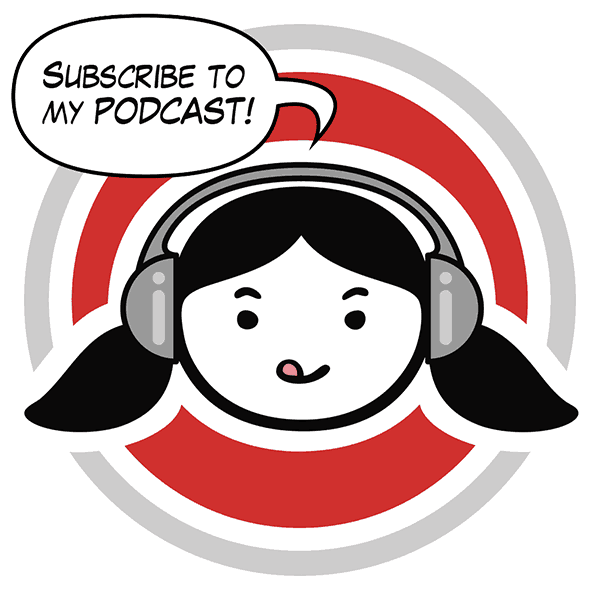 Our family loves to listen to music together in the kitchen and when the kids are at school, I blast my favorite podcasts while I’m tinkering with recipes. 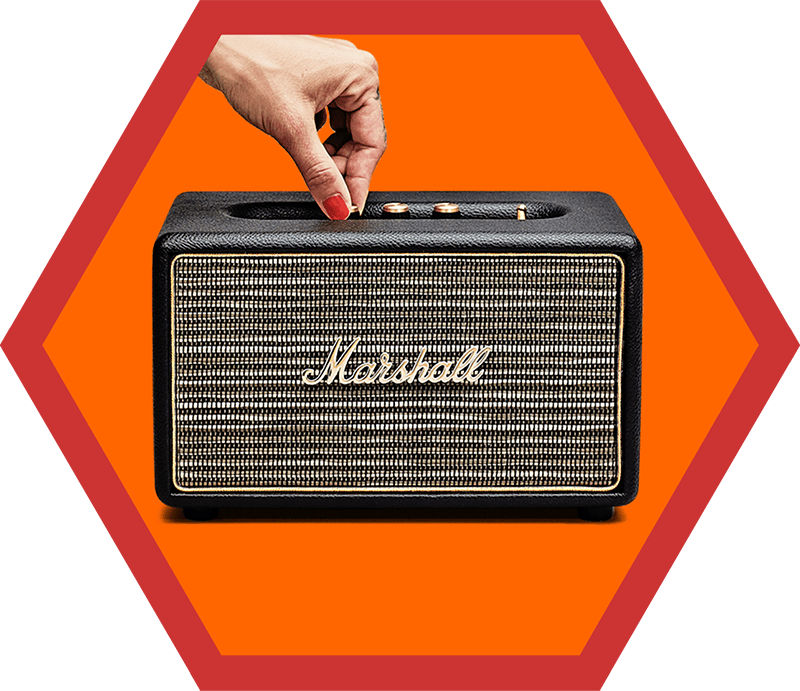 The bluetooth speaker that we play all of our audio on is the Marshall Acton Bluetooth Speaker. It works great, and looks like a mini-version of the various amps that Owen has scattered around the living room for his electric bass and guitar! 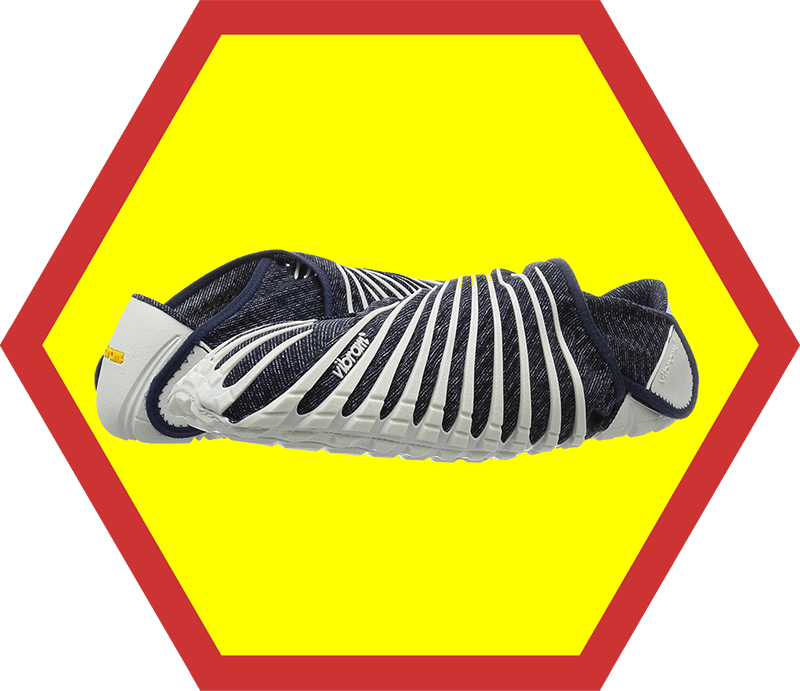 I’m not a fashion plate and you’ll never see me posting my #ootd on IG, but I do have a favorite minimalist shoe—my Vibram Furoshiki Wrap Shoes. These shoes are super comfy and they don’t have the weirdo five fingers. You just wrap them around your feet, and they look like pretty presents. Just make sure you don’t buy a knock-off by mistake! Get a pair from Amazon here! This is my favorite new cookbook of the year (that wasn’t written by me!). Chef, teacher, and author Samin Nosrat has produced a groundbreaking cooking book—one packed with an amazing wealth of knowledge. 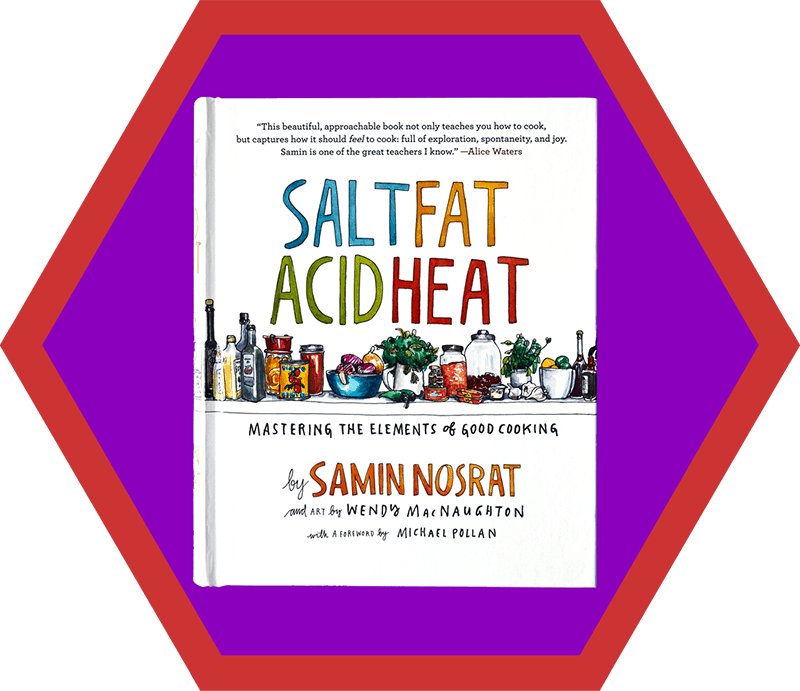 Accompanied by charming illustrations by Wendy MacNaughton, Samin cheerfully teaches readers to use the four main elements of cooking—salt, fat, acid, and heat—to master cooking. This book is aimed at inspiring cooks to make confident decisions in the kitchen without relying on recipes. With Salt, Fat, Acid, Heat, you can whip up delicious meals at any time with any ingredients on hand. This is a classic. Get it from Amazon here! This book brings me SO. MUCH. JOY. Do you follow @lauraiz on Instagram? When her adorable daughter, Joey, takes a nap, Laura dresses her up as mini pop culture icons—from Salt Bae to Barb from Stranger Things—and snaps a pic. It’s off-the-charts cute. Just flipping through these photos on my phone instantly puts me in a sunny mood. 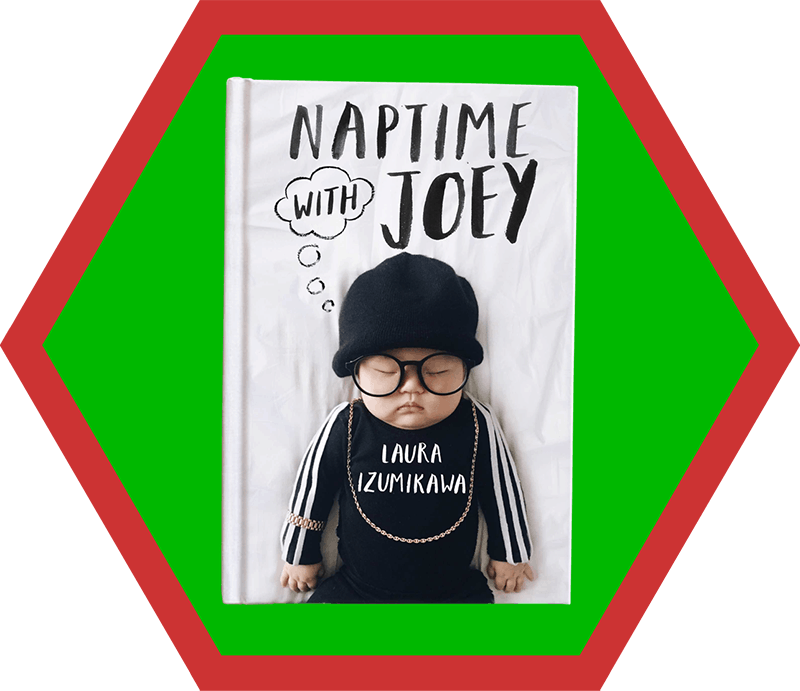 Laura’s first book, Naptime with Joey, is a compilation of these adorable photos—complete with the punniest captions. 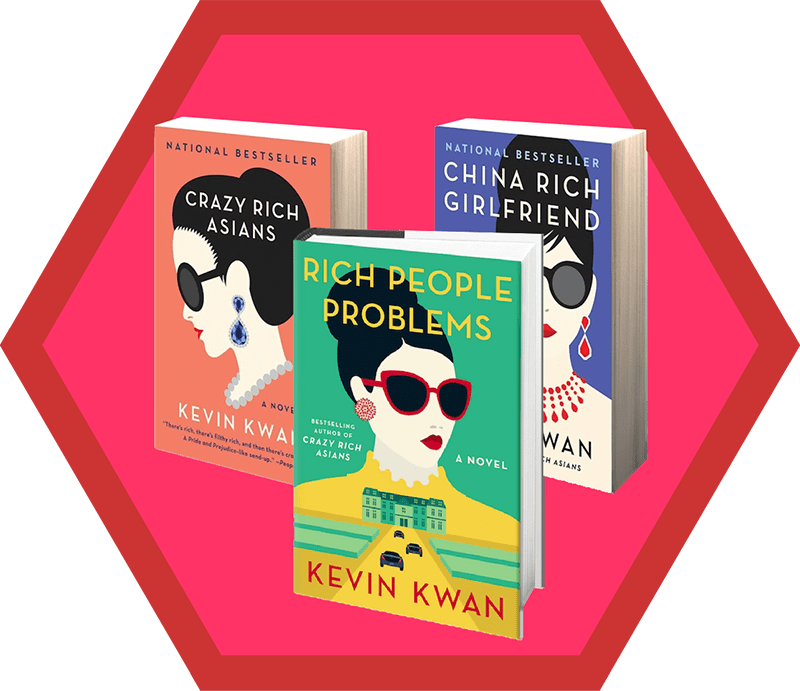 Get the first book, Crazy Rich Asians here! Get the sequel, China Rich Girlfriend here! Get the final book in the series, Rich People Problems here! Looking for recipes? Head on over to my Recipe Index. 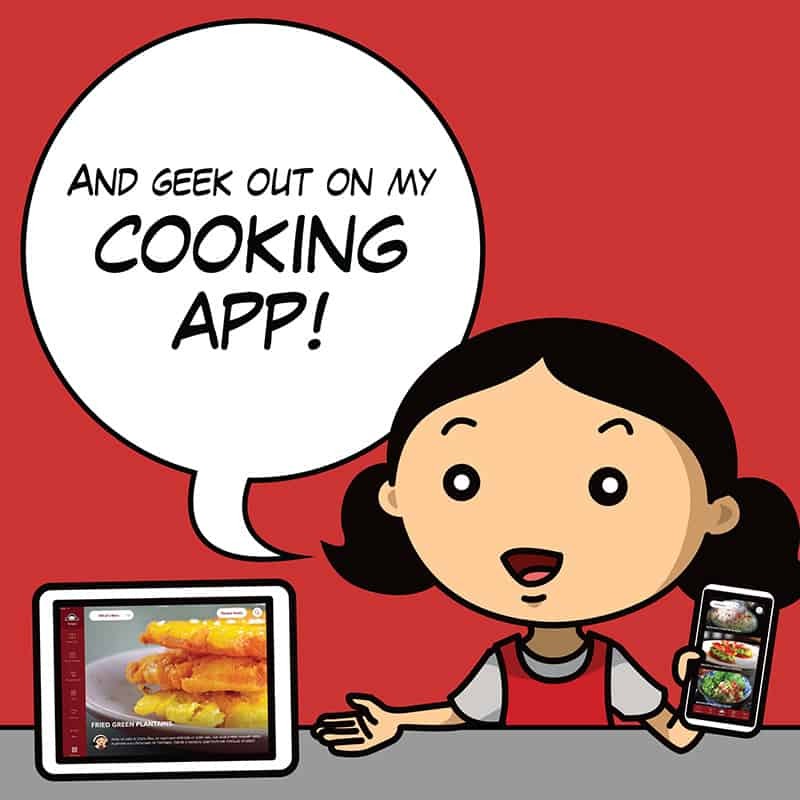 You’ll also find exclusive recipes on my iPhone and iPad app, and in my cookbooks, Nom Nom Paleo: Food for Humans (Andrews McMeel Publishing 2013) and Ready or Not! (Andrews McMeel Publishing 2017)!